VSP provides vision care insurance to approximately 80 million people globally. It was formed in 1955 by a group of optometrists in Oakland, California, and quickly became a national provider. In 2007 it went international and VSP (Vision Service Plan) became VSP-Global. It is currently the largest vision care company in the United States. Can I Use VSP at Cove Eyecare? Yes! Our eye care clinic accepts VSP as an Out-Of-Network (OON) provider. 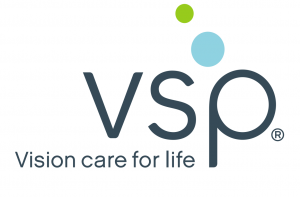 When you book your appointment or check in, let our receptionist know you would like to use VSP. Your eye exam will be covered by VSP payment plus a co-pay. When you purchase eyewear at our onsite optical, you will only be charged the amount which is over and above VSP’s coverage for whatever you buy, because we apply your VSP allowances towards the cost of any eyeglasses or contact lenses. Please let us know if you have medical insurance too, since we may be able to apply that to your eye exam, maximizing your VSP balance toward your purchase of eyeglasses or contact lenses. How Do I Bill VSP for My Appointment? Let us know you would like us to file your claim, and we will take care of the rest. Co-pays will need to be paid upfront. 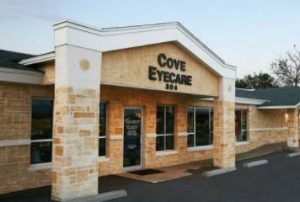 Although we accept VSP, Cove Eyecare is not a VSP Network Provider. We do not necessarily use a VSP lab, we are not listed on the VSP website, and we are not subject to the eye exam restrictions, frame lines limitations or other contract rules set forth by VSP. 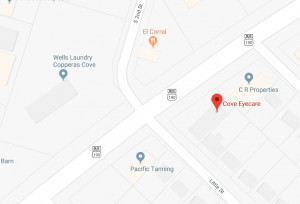 Cove Eyecare has been providing personalized family eye care and high quality, beautiful eyewear to VSP members in Copperas Cove Texas for many years. We look forward to serving you and your family.